Custom garage storage system in Boston. 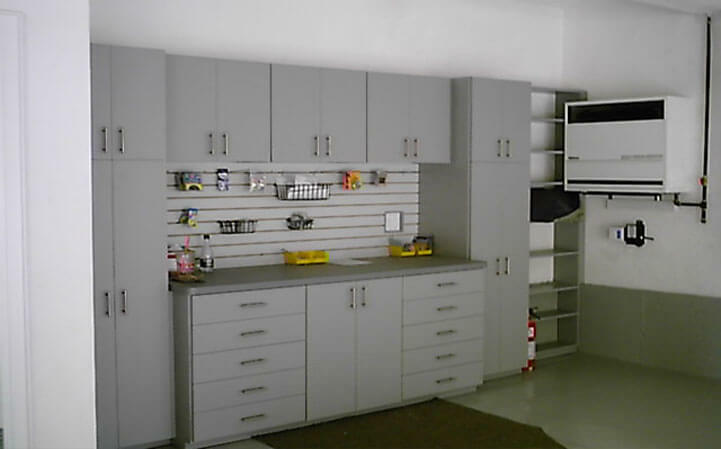 Choose from custom built cabinets for tool storage, garage flooring, and workbenches. Garages serve many purposes to a family. Often times, it’s the “catch-all” area for items that just won’t fit into the house, but it’s also a work area, storage area and place to park your vehicles. If you feel like your garage is not providing you with enough space to hold everything you want it to, you need to call the Boston Closet Company. Second only to closets, garage organization represents the bulk of our business – from garage cabinets to garage flooring. Our garage cabinets are the best on the market because we take extra measures to ensure they will be strong enough to hold the heavy items you need to store and durable enough to last for years to come. 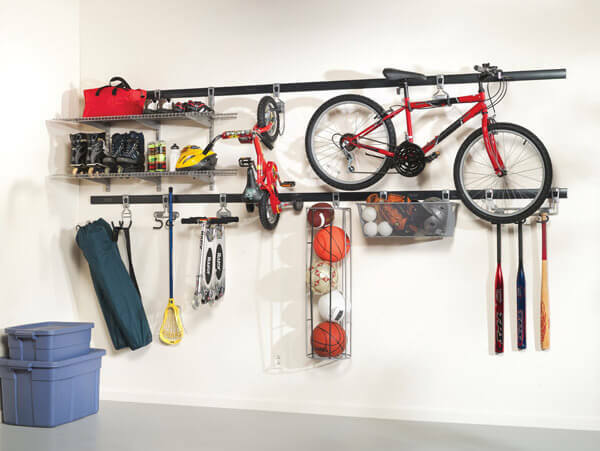 Best of all, the design principles we apply to your garage storage solution provides you everything needed to help you stay organized. That’s thanks to a virtually maintenance-free system we’ve spent years perfecting. You can easily work this system into your regular routine, enabling you to utilize better storage solutions for a cleaner more comfortable environment. In other words, contrary to what you may have come to believe, your garage is not a lost cause. As thousands of satisfied Boston Closet Company customers can attest to, it’s never too late to take control of your garage so you can find things easily and have more room left for anything else you need to store. 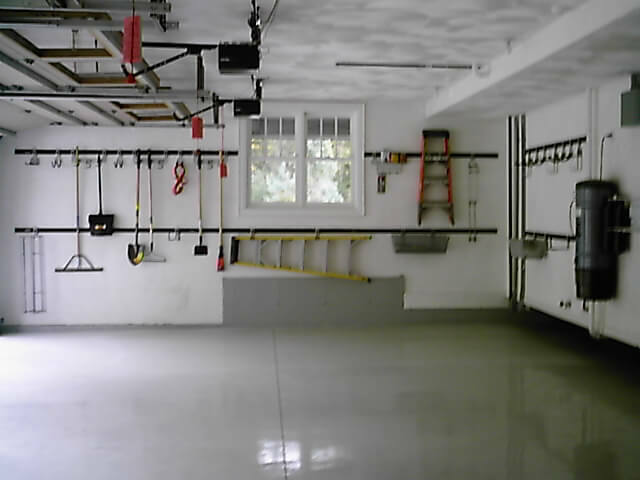 Start utilizing your garage to its fullest potential today! At the Boston Closet Company, our experienced, skilled designers are always on time for appointments. Contact us today for your FREE custom garage consultation.